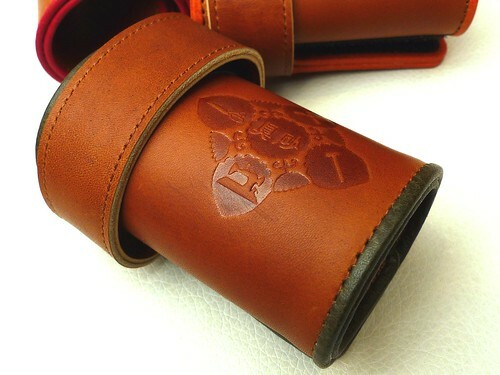 MASAGO x JBP leather frame pad with mallet holding belt (Guatemala special). 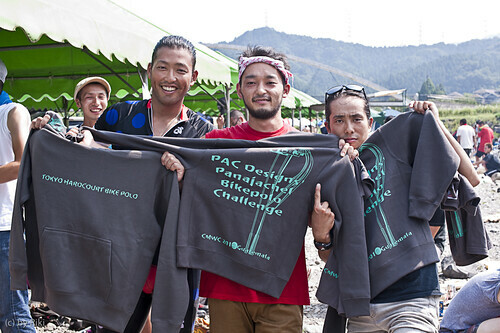 These prizes are delivered to Panajachel from Tokyo by tokyo bike couriers! WHBPC BERLIN 2010 The making of the Trophy from romabikepolo on Vimeo. another story of whbpc 2010. 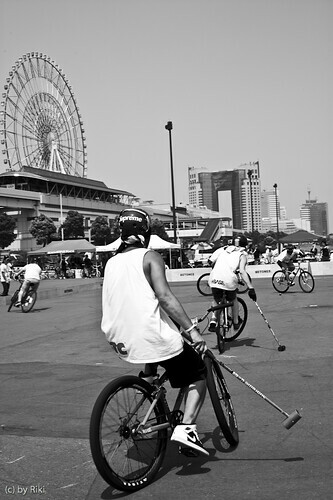 World Hardcourt Bike Polo Championships 2010 // BROOKS ENGLAND by brooksengland on YouTube. London Open 2010 Final from Jon Marshall on Vimeo. 大港盃BIKE POLO預告片 by flyerlai on YouTube. via. 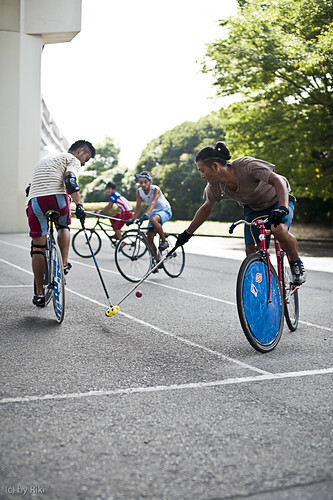 GLORYC BIKE POLO from 台北 (Taipei). 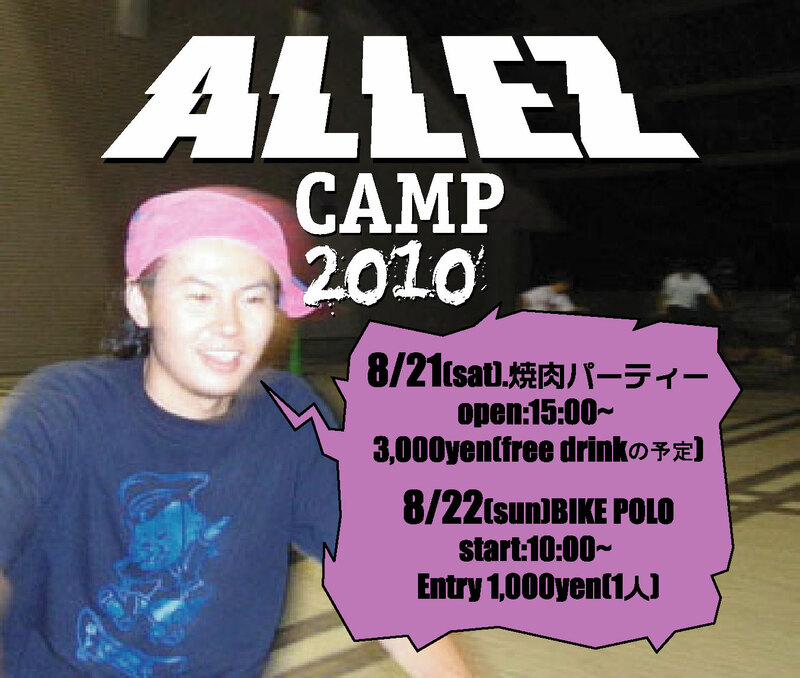 ALEEZ CAMP 2010 Bikepolo "allez cup" by 10pitch on YouTube. 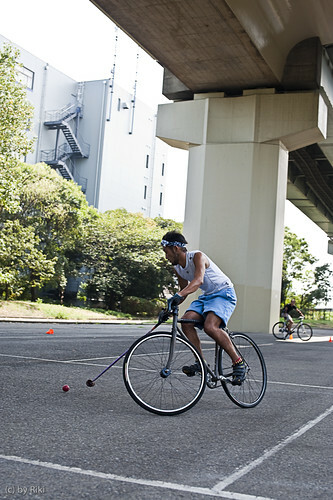 a report of Tame-san from Miyoshi Hardcourt Bike Polo. 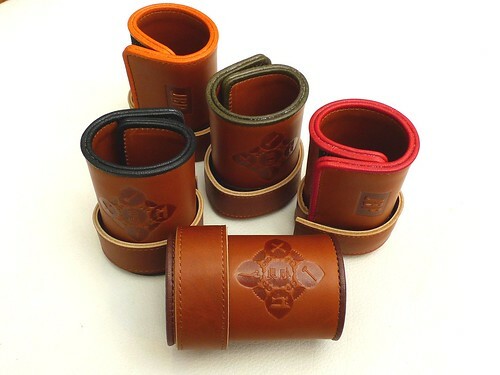 a report of sakika* from Aiba Polori. a report of P & YOK from Aiba Polori. 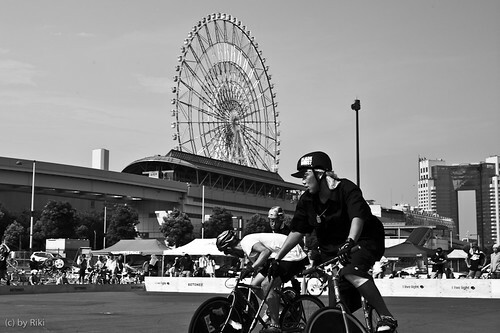 a report of sicks:pedal store (Hiroshima). 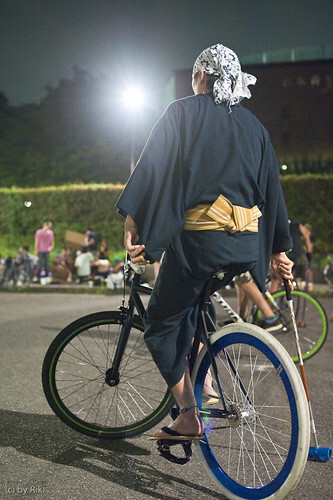 and a report of allez (organizer). 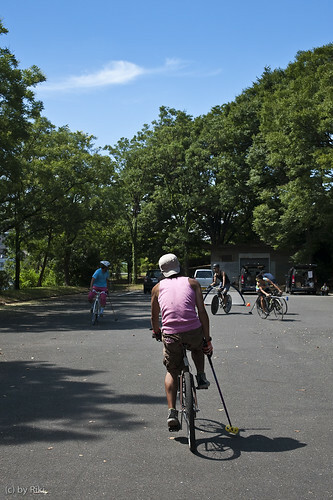 A practice match at Showajima North Green-way park. 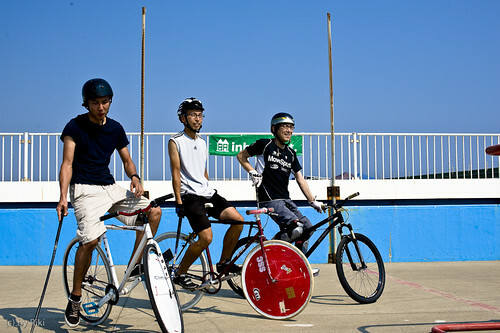 Team Tokyo are Matsudo, Tommy and Juri (L to R). 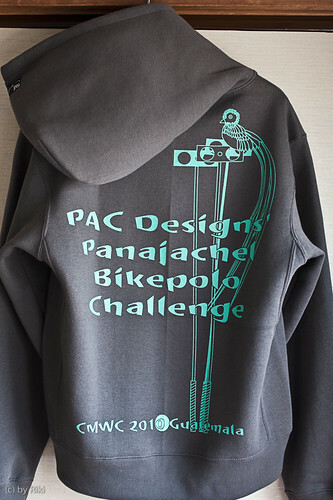 The hoodie for them and their supporters. See more details (1 & 2) & T's. Beaver Boys (Milwaukee) vs L'Equipe (Geneve). Rest In Peace, Mr. Nosaka (AHBP). 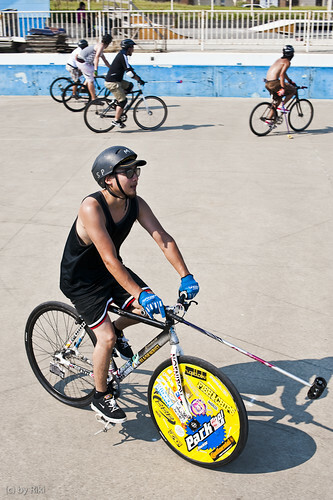 Bike Polo - EHBPC 2010 in Geneva from Cycle Oxford on Vimeo. Frédéric (from Geneva) will come to Sui-Koma! 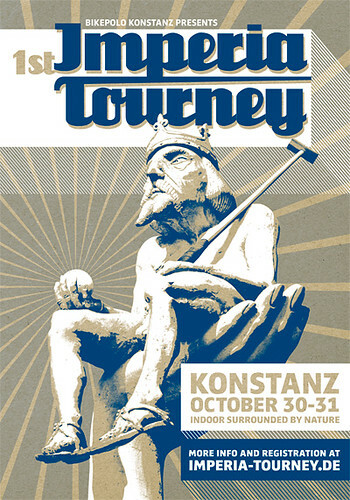 North American Hardcourt Polo from Mr.Do on Vimeo. 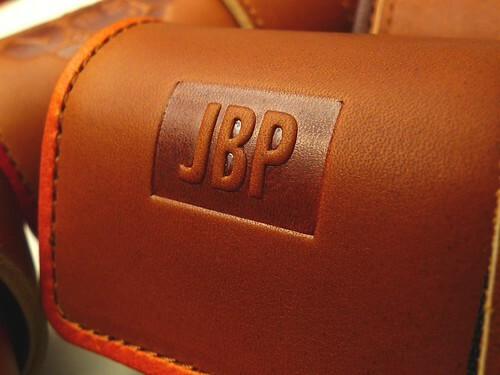 We need your photo of JHBPC! JHBPC 2010 group on Flickr. Every 1st Saturday is Beginner's Saturday! 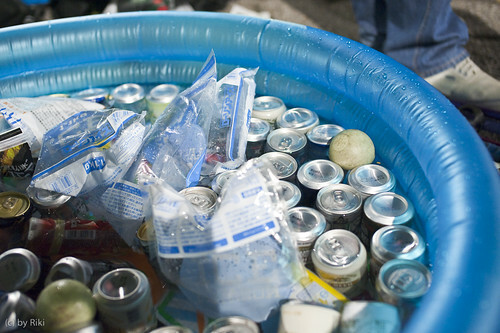 11:00 - 14:00 at Yoyogi Park. 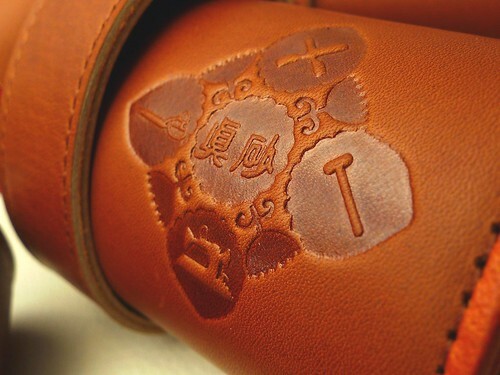 We provide mallet & balls. please bring to your own mallet (if you have) & helmet & some guards are recommended. Danke dafür, die Einladung zu schicken, Andreas!